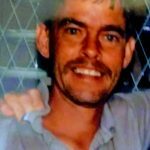 Kevin Charles King, 52, of Cleburne passed away on Monday, February 4, 2019. Services will be held at a later date. Kevin was born on June 4, 1966 in El Paso, Texas. He was a loving husband, father, grandfather and brother. Kevin is survived by his wife: Cindy King of Cleburne, children: Ashley Durbin of Azle, Heather Danner of Lakeside Village, and Casey Mann of Granbury, brothers: Brian King and wife Kim of Conroe, Michael King and wife Stacey of Conroe, and Mark Hesser of Denver, sister: Carol Perales and husband Jerry of Glen Rose and Barbara Martinez of Denver, mother: Juanita Mae McCullough of Glen Rose, eight grandchildren, numerous nieces and nephews, and extended family, Lonnie and Alayna Neal of Arlington. Kevin was such a sweetheart my mom worked with him for years at levels food center he came out to my moms one late night to fix her electric for her. . Prayers for all of the family. Kevin, I just received news of your passing, and would like your sweet family to know that you were one of the sweetest, and certainly the funniest classmates I've had the pleasure of attending school with. I will be lifting all of you up in prayer throughout this difficult time. God speed my friend. Kevin. You were always good to me!! You will be missed sir!! We are so sad to hear of your passing. Prayers of comfort for your your family, children, and grandchildren. Prayers for you and your family, Heather! I wish I could hug your neck right now! I know this time is hard, but lean on family and friends to get your through. Love you girl!